Sorry no red, white and Blue post this year. There have been some requests to do a post about staircase runners. It’s a timely one for me, because I am working on one right now. In my 20 years of being in business, I’ve probably done about 30 or so stair runners. But, sometimes I use a carpet store who also does the installations for me. For the first 10 years or so, this was my go-to runner that I did about half the time from Crucial Trading. Do not be seduced by sisal! Yes, yes… I know, I know…Sisal carpet proliferates in shelter magazines like a pair of mating gerbils locked together in a cage for a year. And it is gorgeous! I love this image so much. But… just because you see it everywhere and it looks good in photos (where no one actually lives) doesn’t make it good. In fact, Did you know that it was not the apple that tempted Eve and did her in? I mean, a girl’s gotta eat. What’s wrong with a bloody apple? It wasn’t the apple. She and Adam got the boot from Eden because that damned snake talked them into the sisal carpet! Oh, it looks good. For about 10 minutes until the cleaning lady spills her bucket of Mr. Clean while going up the stairs. And then, you’re dead. It’s all over. Exiled out of the garden forever and forced to wear Birkenstocks for the rest of your life! Sisal stains like crazy and it ain’t gonna recover. There’s some stuff you can get that they say buys more time if there’s a spill. Anyone have any experience with that? If so and it works, then fine, you can do sisal. Otherwise, the next most common material is a wool with a pattern of some sort. They are roll runners and typically come in a width of 27″ but some companies like Nourison also carry a 36″ size. Since these are runners, usually, we need to see a narrow margin of wood. Attractive runner and I love the contrast with the white-painted floor. There’s too much of a margin and it’s really a shame because they only needed to split the difference with what is showing and it would’ve been perfect. By the way, those rods you often see? This is very important before you go out and spend a lot of money on something you don’t need. They are purely decorative. They do not hold the carpet down or in place. So, get them if you like the way they look, otherwise, they are not necessary. Check this next one out in a very large hotel. It’s an Axminster which means big bucks; undoubtedly custom-made and at least 12″ too narrow. So how much wood should be showing? It really depends on the width of the staircase, but the average amount of wood I like to see is 3-4″ but it can be as little as 1″ but really probably not much more than 6-8″ and here is the reason why. *If someone is walking, they might need to hold on to the hand rail. If there’s too much of a wood margin the person might end up walking half on the wood and half on the stair runner. So, what do you do if you want some sort of Oriental runner and the staircase is 4 feet wide or more and the standard runners are all too narrow? You can use an Oriental broadloom and have it fabricated into a runner. I’ve done this many times and it always looks terrific. Wool broadloom fabricated into a custom stair runner from Nourison. I have never seen this before, but apparently, you can have a curved custom stair runner made. That would certainly help the installation folks. A popular trend that’s also an enduring classic are animal print stair runners. FYI the pattern is by Glen-Eden Carpets called Out of Africa. Here’s the same carpet and it certainly looks nice but lacks the panache of Erin Gate’s carpet. Why is that? Erin created high style by painting her banister black and staining her floor a dark walnut color. The art wall also has some black frames. Another animal print runner. I love it against everything else painted white. Very fresh! The carpets above are quite expensive, but sometimes you can get a great deal on Overstock. Designers, out there, I know that you’re cringing. But I am trying to share lots of options and price levels. This runner which I guess is a close out from Safavieh is only 100 bucks for a 30″ by 1o’ runner. So, if have 14 steps, you’d need 4 of them to allow for waste and so forth. The ends would need to be cut off. Is installing a Stair Runner a job one can do themselves? This is one of the Dash and Albert runners that has a sisal look but it’s actually indoor/outdoor carpeting. We did this last year and it turned out great. This is a very nice site with lots of examples of gorgeous stair runners. I chose this one because we must be mindful if we’re going to shift carpets once we get upstairs. This one isn’t terrible, but it isn’t great either. I would probably have done a lighter pattern on the rug to coordinate with the hall. I don’t recommend a solid navy because everything will show on it. A wall to wall installation, or wall to spindle rather. I don’t know if I would ever do this bright stripe, but it is pretty cool in this setting, I think. Wool carpet by Louis De Poortere via Kristoffersen Carpet. If wall-to-wall, none of this Sharpay business. Okay? And yikes! Sisal aside– none of this either! And please paint the risers white. If everything is wood, then of course, they would be stained. But they should be the same color as the trim. Here’s one you’ve undoubtedly seen before. It’s a looped Wilton Weave made popular by Stark Carpets. (owned by Prestige Mills so some of the products are the same) It’s in every country club that God ever created. Usually with a floral border. No comment. However, these weaves don’t do well on stairs. Just saying, because this product is very expensive. Tailored and ever so chic! Wool Sisal from Prestige Mills – A bit pricey, but also very pretty and one that I’ve done several times. A handsome wool, it looks like on a curved staircase. Pretty sick, huh? It’s from a real estate listing in Florida. Actually, there is no margin but it’s not a very wide staircase and I think it would detract from the way cool custom border. Handsome application at the Hampton Designer Showhouse. Photo by Heather Clawson of Habitually Chic The carpet is a wool sisal-look with a classic Greek Key Trim. 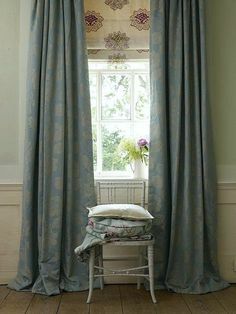 I adore fabric trim on natural fiber rugs. However, this is already getting really long and it’s a holiday weekend. Sorry to leave you hanging, but on Tuesday I’ll discuss the other fiber some say you must never do (but many including me, disagree) for your stair runners and a few more technical things about stair runner installation you need to know. Please have a safe and fun holiday if you’re in the states! PS: If anyone is interested, a reader informed me that there’s a Stark Rug sale happening on One King’s Lane right now. I’ve been reading your staircase series from this summer as we attempt to pick out a runner. They are so helpful as always, thank you! One question for you about wool runners. You mentioned that the county club pattern from prestige mills had a weave that did not hold up well over time. Is it just that product in particular or all looped wools? We’re looking at a few tufted loop pile wool carpets, for example this one (http://www.couristan.com/products/carpet/Maple/PT12-0001). Do looped wools not hold up well? We would like a neutral wool, not an oriental, but those all seem to be looped. That’s a very good question. The small looped needle-point-type weave is a Wilton and some are better than others. It also depends on useage. The one you showed me is something else. Maybe a Berber? What is the color of the dash and albert diamond runner? I ordered swatches but I ordered the graphite diamond and it’s too dark. It’s hard to tell online. Is it the fieldstone? Thanks! I agree with all the comments about sisal (my husband spilled an espresso on it approximately 15 minutes after we got it, and that was the end of that rug! lol), but I just don’t understand the seagrass love. 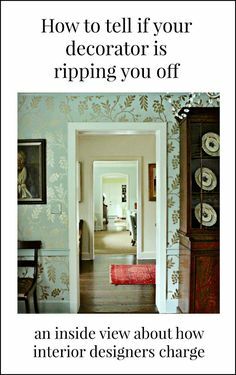 We had a seagrass rug in our last house, and it looked great, but my husband referred to it as the “carpet of pain.” Our grandchildren hated it also; they’d play on the bare hardwood rather than sit on that rug! Great post, Laurel – so informative! Another practical consideration for me in deciding ‘to runner or not to runner’ is whether the homeowner really likes to clean, i.e. vacuum; and if not, whether ‘home help’ i.e. a cleaning person, is in the budget. I’ve had hardwood stairs with a runner in a previous home, and they looked great, but it was really a drag for me to clean and vacuum them. It was a hands-and-knees, multiple-tool multiple-pass endeavor, which necessitated lots of retrieving as the crevice tool, etc. had inevitably tumbled down the stairs when I moved on to the next step! I grew to hate those stairs! Now I have pale oak HW treads and painted risers to match the trim, which transition beautifully in my split-stair, split-level home between pale oak HW flooring and Montauk Blue natural slate. I had my risers painted professionally with a SW oil-based satin enamel, and after a quick sweep of the stairs with a broom, I just wipe away the occasional scuff mark with a damp rag. So much easier! I guess like anything it is a personal decision, dependent on one’s own idea of acceptable maintenance effort. I also didn’t have a stair runner in my old home because most of the living dining area that it opened up to was bare floor and it would’ve looked funny. 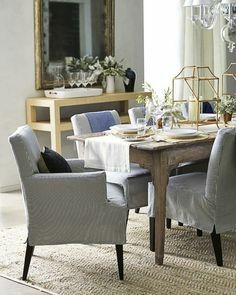 Jute is great for maintenance but if the dining room is getting a lot of use, there might be a problem with the chair legs and the looser weave. If it’s only a special occasion room, then it should be fine. I didn’t know you needed to add a rug pad under the seagrass! Thank you for that advice! It might be okay, but one it’ll help preserve the life of the rug from keeping it from shifting and also if there are changes in the heat/humidity, they latex might begin to stick to the floor. I don’t think there’s a rule. I’ve seen it done both ways, but I prefer the runner to wrap under the first tread and not go down to the floor. Well, if there’s a runner, then no problem at all. But if one has hardwood floors and wants to keep them looking nice, then I would suggest no hard-soled shoes that can scuff. Laurel, I’m a Miltonist and have taught “Paradise Lost” more times than I can number, so I knew that about Sisal and Eve. I did not, however, know that Adam had a tattoo on his lower leg until I saw your illustration. Thanks for that. Live and learn, I say. I can’t tell you how right I think you are about being practical about the “rules” governing how much of tread should show on stairwell coverings. Doctors must swear first of all “to do no harm.” Folks designing stair coverings should follow the same principle. People should be able to walk comfortably (right foot/left foot)on each covered tread. Rules matter little if they create danger. Speaking of which, that Florida staircase with the BRIGHT turquoise carpet-with-lapping-white-waves is absolutely dizzying. I never before knew stairs could produce seasickness. I bet you’re a fantastic professor. Alas… while I’ve certainly heard of Paradise Lost, I never read it (or if I did, I Cliff Noted it as I dashed off to ballet classes and rehearsals in high school) I had to look up the term Miltonist. But I gather that I am a natural one without realizing it. One needs a healthy dose of irreverence and a soupcon (or maybe a barrel full) of sarcasm to repudiate “history” that almost definitely never happened in the first place. Yes, that’s something to consider, for sure, but unless there’s something wrong with the steps, our minds know where the next step is supposed to be if you’ve ever walked up or down a staircase where they goofed, you can feel it, right? I think it behooves everyone to walk up and down the stairs carefully. Great idea on both fronts. I adore slip covers and it solves a lot of issues for a lot less money than it would cost to buy a new sofa. (unless it’s a super-cheap sofa), but I love the look. Laurel I have always loved the look of a beautiful stair runner. That said, I am SO happy to be moving to a house with all hardwood flooring, no carpeting. My current stairs are carpeted and let me tell you what a pain they are to vacuum not to mention how easy they are to slip on. I am excited just to be able to just dry mop a staircase and not drag out heavy machinery!! lol – yes, of course. How could it possibly be because she ate an apple? Really? Like give the poor woman an eating disorder. Pardon my irreverence. But yes… people love to say that certain products are slippery on stairs. Regular old cut pile broadloom is the slipperiest of them all! Hi, Laurel! Again thank you so much for your wonderful blog! We have just finished the stairs couple days ago. For 2 years since we moved into our home, I am fighting with yellow wood abundant here – trim, doors, windows and, of course, staircase…… I painted raiser white and stained threads very dark brown almost black as well as changed rods for iron ones. It’s was very difficult to choose the runner. We have staircase with landing and we had to order custom made wool runner. I would like to share a picture if you can take a moment to look. Overall, we are quite pleased with the results. It was a lot of work. I had to redo the stain 3 times. Sanding, sanding, and again a lot of sanding. I thought, this project will be never done. By the way, what do you think about black interior doors? Looks like it’s somewhat trendy today. I painted the one to the office black, and got really discouraged. Looks very stylish with white trim, but for me (being perfectionist ;(( would be hard to deal with scratch marks and dust…I literally can draw on them with my nail…..and I am sure my kids would as soon as they discover they can do it 🙁 The scratches are soooo noticeable on the black paint. And because the enamel with great flow features cannot be tinted that dark color (I had to use all purpose enamel from Sherwin Williams). the brushmarks are inevitable as well on the black. I’d love to see your runner! I do love black doors and trim but it has to be the right situation. 15 years ago, long before it was trendy, I did a seagrass rug in a family room. BTW, a little foreshadowing, but this was a family of SIX and two hyper manic greyhounds. Okay??? The client did various projects over the years and a couple of years later she told me that the seagrass was the most wonderful, forgiving, easy to take care of durable thing in the entire home! Anywho. We layered it with a much smaller rug, a Chinese Needlepoint with a black background. We did a sage green human-scale ;] sectional, a wonderful leather chair from Milling Rd (before it got insanely expensive) and a custom black wrought iron and glass coffee table and of course a few other things. 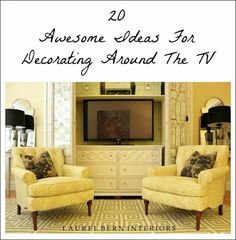 We had a built-in bookcase/TV cabinet created which I had a decorative artist coordinate with the sofa in a green strie. Gorgeous! We painted the walls in a similiar sage green. Then, we painted the baseboards black and the french doors – black and the rest of the trim we kept green around the windows. But let me tell you, this room was so wonderful and every time I came over just had to go in because it was very family-friendly, but also very pretty and stylish. I’m not sure I followed your entire story with the doors or tinting it black since BM makes several great blacks. I did learn from 3-6 also but over the years, really prefer less wood showing, but it depends. And perhaps it’s a matter of preference, but the ones I presented look strange and skimpy to me. I also don’t like wall to wall but the Louis De Poortere vivid red stripe looks chic to me in that situation. I also prefer the Hollywood or fitted over the nose of the tread runner vs. waterfall. I didn’t address that in this post because it was already getting to be too long but will address it in the next. That and that controversial fiber that’s most designers’ favorite. Who knew that stair runners could be such a complex topic? Just chiming in with my humble opinion. I don’t get the whole cover beautiful wood stairs with carpet and not to mention trying to vacuum them. I suppose if the wood is nasty and refinishing them isn’t in the cards … I guess I’m just a wood type gal :)) I must admit that I love the blue with white Florida stairs – its not for me, but I wouldn’t snicker about it behind my hand either if I saw this at a friends house. I agree about sisal, I had a beautiful area rug made of sisal, nice to look at, awful to walk on with bare feet (yes we walk around with bare feet except late at night so’s not to step in fresh cat upchuck), can scratch the floor, yadda, yadda, yadda it was a good day when I finally tossed it. Absolutely love your blog, you inspired me to use BM Van Deusen blue in both my kitchen and living/dining room with white trim in my shotgun style house. A little secret. I lived in a townhouse with a winding (not spiral) staircase for 22 years and never put in a runner for a lot of the reasons you said. Glad this helped. Stairs can be so complex for all of these reasons. They literally are like puzzle pieces. No, I love the one with the black and white floor because I am looking at the image as a whole. I think it’s very chic. The one that I’m not so crazy about is the navy runner with the geometric pattern butted up against the upstairs hall boring beige. Laurel, it is a puzzle for certain and in my situation the staircases are not only creating a visual quandary but they lead to different areas with totally different functions and as well are unfortunately ‘not’ hardwood. That said; my best option as it stands at present is to carpet them completely since refacing just their step so I am told, will cause a domino effect problem in elevation and replacing them entirely with H/W due to an outrageous expense is out of the question. Re the image; yes I see what you mean and totally agree that the beige does looks blah compared to the runner. (It was my 2nd choice. As for my guess bad me and lesson learned … ☺.) Wishing you a HAPPY 4th of JULY. Oh not at all bad! I don’t expect everyone to like everything I do and vice versa. I don’t know the style of your home and it’s certainly a little unorthodox, but I’m wondering if anyone has every painted their plywood and put in a runner. I love the before and after that you designed at the top. Do you have a post that shows the ‘after’ stairs? No not yet, because we haven’t done the stairs yet. I’m a designer who often does jobs in stages and phases. But the whole thing is looking very cool. If you look here, you’ll see a mood board that I did a while back. Thank you Karen! I’m very proud of both of my guides! And I use them myself! Great time saver! Thank you so much for the wonderful endorsement! It WAS an uncountable number of hours and in the middle of it, I stopped for a second and thought, am I barking mad? Carpet rods are not decorative – they have a very important function. They do hold the carpet down and allow for it to be moved up and down to manage wear. The carpet on the treads can be shifted so it covers the risers instead. After a period of time, it gets moved back to covered the treads.